Your mortgage loan is very likely to be the largest loan you will ever apply for. If you are, or have been, in the military, do not overlook a VA loan. VA loans are available to certain current military members, veterans and the spouses of military personnel. These loans are backed by the U.S. government and often carry lower interest rates than conventional home loans. In addition, individuals who are eligible for a VA mortgage loan are not required to make a down payment. By opting for a VA loan, you can capture the dream of home ownership while still saving money. Check your credit history. When determining your eligibility for a VA loan, the government will look at your past credit history more closely than your actual score. A history that reflects timely payments on your debts will work most strongly in your favor when applying for a VA loan. Consider whether you served in the military during wartime. 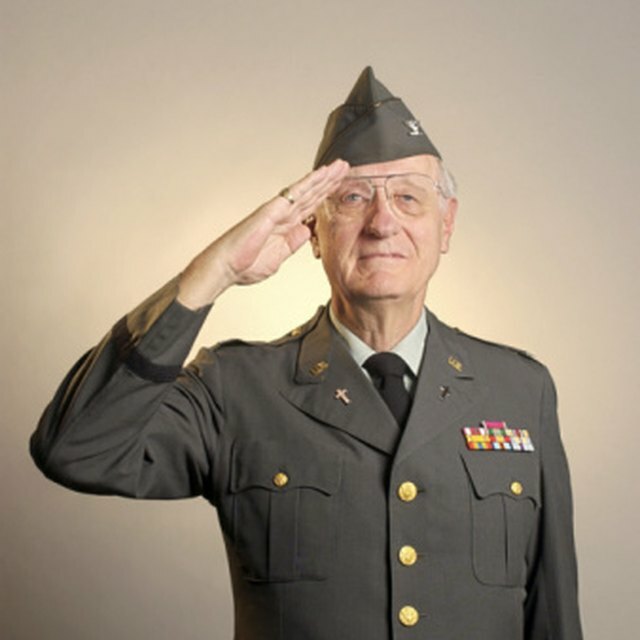 If you are a veteran of World War II, the Korean War or the Vietnam War, you may be eligible for a VA loan. You must have served at least 90 days during wartime or have an honorable discharge due to a disability. Consider whether you served at least 24 months of active duty or the maximum amount of duty that you were called upon to serve during the Gulf War. If you were in the Army Reserves, you may have been required to serve only 90 days in the Gulf War to be eligible for a VA loan. If you were discharged early due to a hardship or medical condition you may still qualify. How do I Sign Up for VA Health Benefits? Take into account any service you performed for the military during peacetime. If you enlisted after September of 1980, you must also have served at least 24 months of active duty or the full period of time you were expected to serve as long as that time period is 90 days or more. This qualification does not need to be met if you were discharged due to hardship or an illness. Consider whether you have served at least 181 days in active duty if you are currently in the military. After you have served 181 days, you are eligible to receive a VA loan if you were not dishonorably discharged from a previous military position. Evaluate how long you have been a member of the National Guard. National Guard members may be eligible for a VA loan after serving a minimum of six years in the reserves. If you were discharged early due to a disability, this does not affect your loan eligibility. Consider whether you have a deceased spouse who served in the U.S. military and died either in service, due to a service-related injury or is currently missing in action. You also may qualify for a VA loan. You can still apply for a VA loan if you have had a past Chapter 7 bankruptcy as long as the bankruptcy was discharged at least two years ago. If you are currently involved in a Chapter 13 bankruptcy and your payments are being made in a timely manner, the bankruptcy will not adversely affect your eligibility. If your spouse died in service but you remarried after Dec. 16, 2003 and after reaching age 57, you may not be eligible for a VA loan.